Special 3D screenings of "The Nightmare Before Christmas" and "Alice in Wonderland," featuring a 3D extended preview of "Frankenweenie," which debuts Oct. 5. Tickets may be purchased for $6. The fun takes place at AMC Downtown Disney 24. "The Nightmare Before Christmas" 4:15 p.m. and 8 p.m.
"Alice in Wonderland" 6:30 p.m. and 10:30 p.m. Presented by HGTV the New Holland Pet Cemetery picture spot will place guests right into in one of the key locations of "Frankenweenie" among tombstones of beloved turtles, rabbits, cats and of course, dogs. Located between AMC Downtown Disney 24 and Something Silver boutique, available 6-11 p.m.
Special merchandise inspired by "Frankenweenie" and "The Nightmare Before Christmas" will be available for purchase at D-Street boutique and mobile carts throughout Downtown Disney West Side. Even the food has gotten creepy with Franken Fusion Lemonade and Frankenweenie hotdogs will be available near the New Holland Pet Cemetery picture spot. Nightmare fans rejoice because this event offers the first-ever WDW meet and greet with Jack and Sally from "The Nightmare Before Christmas." This terror-iffic couple will be hanging out between the AMC Downtown Disney and Harley Davidson also from 6-11 p.m. 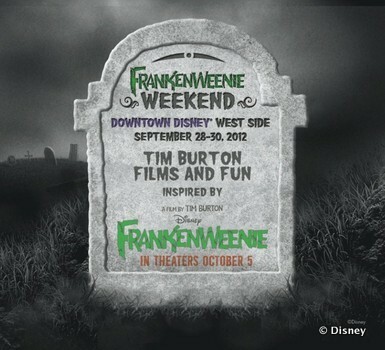 So come join the fun for a nightmarish evening at Downtown Disney to celebrate this fantastic new Tim Burton film! Will you be there? Leave a comment and let us know! My husband & went to this event on Sat 7:00pm & there was absolutely no special Frankenweenie food near the New Holland Pet Cemetery photo op, which was BTW so small it was ridiculous! 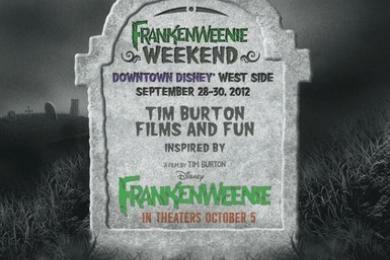 There was hardly any Frankenweenie merchandise in D-Trend & no mobile carts anywhere had merchandise. 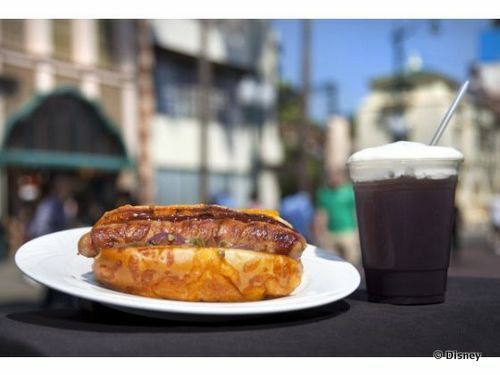 It was so disappointing - we live locally & we know DD can get crowded on Sat nights, but we went especially for this event & to try the Frankenweenie sausage dog which looked delicious in a photo. We couldn't get in to eat anywhere else since it was so busy so we left. we will never attend anything hyped like this event at DD again - not worth the trip or aggravation. Oh no Pamela! I am so sorry to hear that this event fell so short. The press release (where this post's information came from) had made it sound like a lot of fun. I wonder what happened.